Jana Rachels is a Physician Assistant; she has a double major in Biology and Sociology from Emory University in Atlanta, Georgia. She attended Methodist University's Physician Assistant Program in Fayetteville, North Carolina, graduating with a Master's of Medical Science degree in 2010. 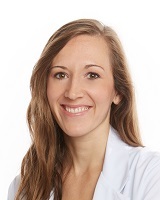 Jana has over 3 years’ experience in Emergency medicine, working in one of the highest volume ER's in North Carolina as well as a rural ER. She also garnered extensive experience in Urgent Care before relocating to Nashville, Tennessee in 2014. Jana was the first member of our Express Care Team at the Lenox village location since its creation in 2015.